I think my cat would like it too! Do You think it can be hooked with sockyarn? Hi Schaumburger Masche! I'm afraid sock yarn will be far too thin for the cat cave to hold it's shape. Maybe with multiple strands (even more than what the pattern calls for)? But I can't say for sure. Sorry! Carpet yarn might be thick enough to use on it's own or with two strands. I have a ton of left over acrylic so I'm going to try four strands! Thanks! I've never heard of carpet yarn! I'll have to go google ;) Thanks for the suggestion! I finished this in 1 day and so far at least one of my cats likes it -the other one hasn't had a chance to try it! That's amazing that you finished it so fast!! do you think super bulky "6" yarn would work on its own? 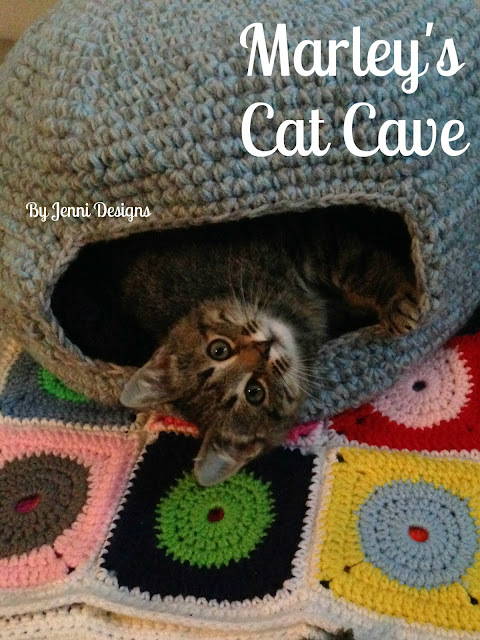 I tried working it with Bernat Softee Chunky yarn and unfortunately, the yarn just was not stiff enough for the cat cave to hold it's shape. I tried a similar cave with t- shirt yarn & it still would not hold its shape. I'm going to try to weave in some sort of stable plastic tubing. If anyone has ideas I'd love to hear them. Thanks for letting me know, I was curious about the t-shirt yarn. Good luck weaving in the tubing, my cat cave is currently still standing and is pretty stiff. Maybe starching the finished piece could possibly work? Thanks Bernice! Unfortunately, for 2 adult cats it probably should be tweaked to make it a little larger. Just above your comment someone else said they tried t-shirt yarn with a different cat cave pattern and it didn't work out so well but someone else replied saying maybe carpet yarn would be a good option. I haven't had a chance to try it out though. Good luck with your new kitties! Love this pattern, Thank you for sharing with us. Our 2 babies are going to love these. I know they will have a blast in these. Going to get busy. love it! 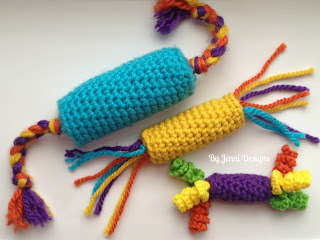 will try it with tshirt yarn...will let you know!!! thanks!!! Thanks Jacqueline, I would love to know how it works out with t-shirt yarn! I've been planning on making my own t-shirt yarn and trying it with this pattern but have yet to get around to it. Would 2 strands of red heart super saver make it stiff enough to stand up? I'm not sure that two strands would make it stiff enough. If you do try it you'll need to use a smaller hook so the cave doesn't end up holey and you'll also need to work additional increase rows because it will turn out much smaller. What skill level would you say this is? I only know how to knit and would have to learn how to crochet to make this. This is an easy pattern, not quite beginner level but since you knit you would probably understand the terminology more than someone who hasn't knit or crocheted. I have just made this for my 5 month old kitten. He absolutely loves it, so much so, he crawled into it whilst I was still making it and refused to get out. Only issue I had (apart from hand cramp) was my seam above the hole seems to run diagonally but other than that, looks great. Thank you! Thanks for the idea. I've made 2 of these with a mix of yarns .... 2DK and 1Chunky. Even though it's a softer finish, you can always allow the cat to sleep "ON TOP" as it forms a PET BED !